New GU Brew! 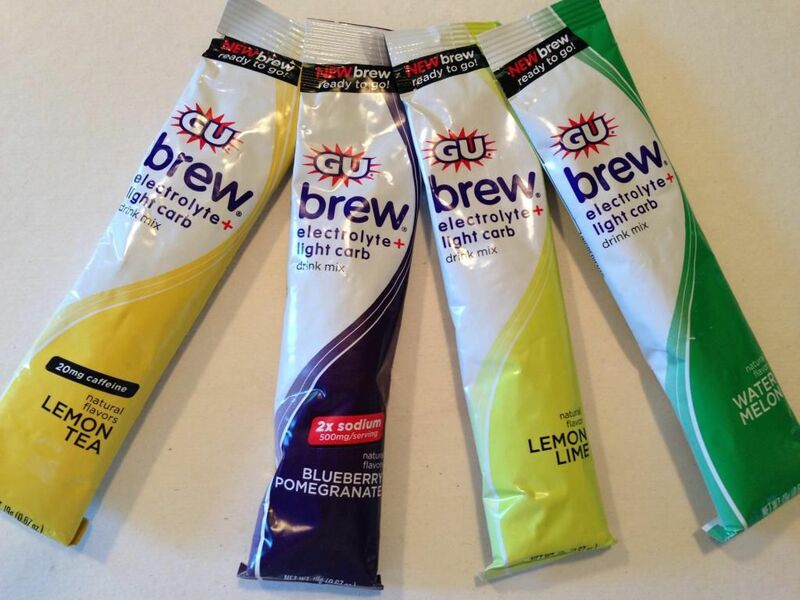 Our friends at GU shared their latest and greatest electrolyte replacement formulation with us. Here’s the scoop…GU Brew comes in a 24 serving canister or in convenient, individual 19 gram stick packs that dissolve easily. One serving contains only 70 calories, 18 grams of total carbs of which 8-9 grams are sugars, and the electrolytes that you need to rehydrate. Of the 6 flavors available, two have some special extras; the Lemon Tea has 20 mg of caffeine and the Blueberry Pomegranate has double the sodium of the others. We found the “light” flavor of the drinks to be very refreshing after exercising. Our favorite is watermelon – reminds us of summer!